Ask any former Lisle resident... What the sound of a distant train horn reminds them of? Most likely it will take them back to the days of living in Lisle and the sound of trains passing through town at all hours. Either way, the sound of distant trains has always been a part of the "sound-track" of Lisle. Since the late 1800's, those "steel giants" have been providing Lisle with a sound that brings so many of us back... If only in our minds. 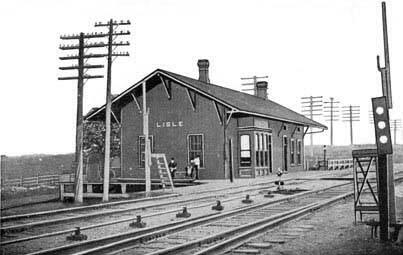 Here is a great postcard photo that shows the Lisle train depot around 1909. Here is a photo looking east around the 1880's or 90's. 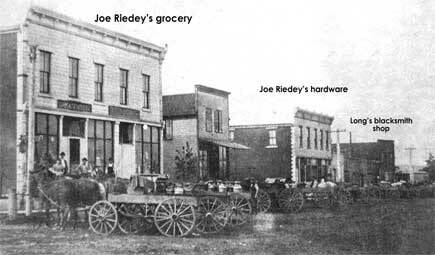 Lisle's original Main Street (now known as Front street) can be seen on the right. The building on the far right was Long's Blacksmith shop. 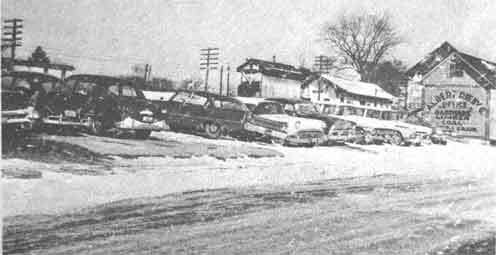 It later became Lisle fire station #1 where Julius "Slip" Long became Lisle's first fire chief. Note: Those wagons (in the foreground) are loaded with large milk cans. 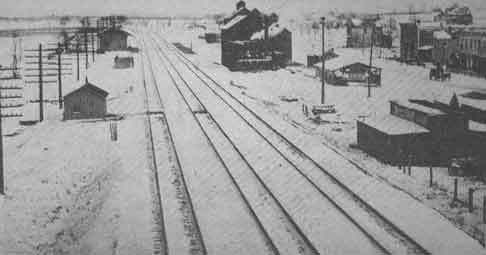 In the foreground (on the right) is a shed with a sign that says "Albert Riedy Office... Hardware, Lumber, Coal and Grain." 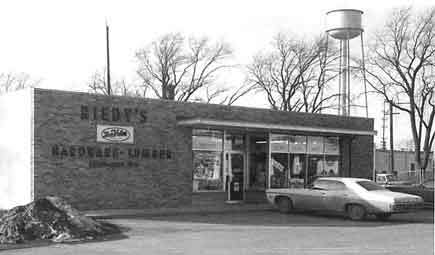 Many of you will remember Riedy's Hardware & Lumber. This great picture shows their building located on the west side of Main (just across from the fire station.) Their sign also says "Established 1889"
Also, this has got to be one of our best photos of the Lisle water tower!